Boot knives offer a great concealed-carry solution. They are small, easy to conceal, and best of all, they come at a decent price. But did you know that the knife’s blade and its design influences the knife’s purpose? In the following article, we present the best boot knives of 2019. After doing proper research and testing, we selected the top 6 boot knives you can buy today. Further on, we explain how each of the knife’s characteristics can influence your experience, and how to select the knife according to the purpose you have in mind. 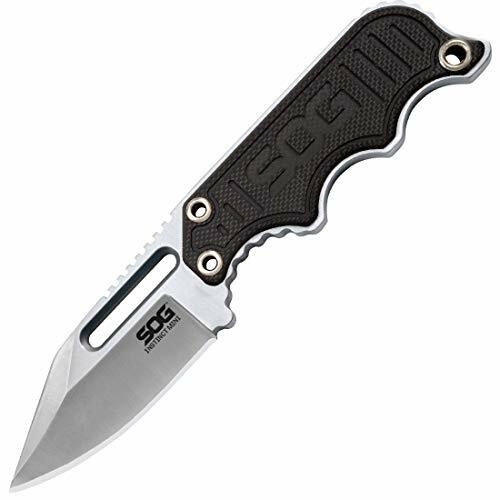 The SOG Instinct is a small and easy-to-carry boot knife. This knife has a 1.9” steel blade that ends in a clip point. The knife comes with a high-quality molded nylon sheath that will keep it secure at all times. The nylon sheath offers 360-degree mounting options, and it includes a chain and a clip that will help you secure it to the boot. A good thing about the SOG Instinct is that it offers a nice grip. The handle is made out of machined G10 and it has a notched design that will allow you to draw and handle the knife with ease. Another good thing about the Instinct is that it’s lightweight. The knife weighs only 1.6 oz, so you won’t have any problems walking with it clipped inside your boot the whole day. Overall, this is a high-quality knife that comes with a good sheath at an affordable price. 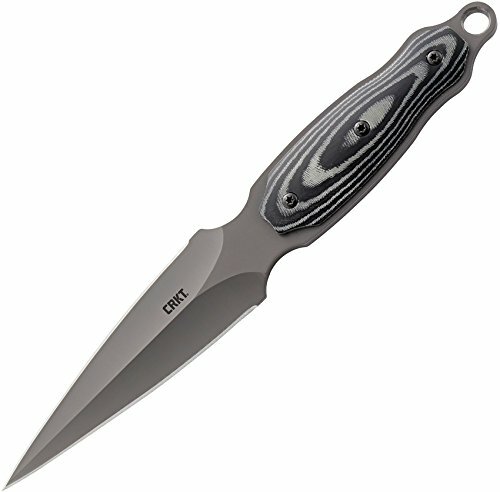 The CRKT Shrill boot knife has a 4.8” double-edged blade that has a spear point design. The knife has a Micarta handle that’s not only durable and tough, but it also looks nice. One of the advantages of using this boot knife is that it has a great balance. This will allow you to draw the Shrill from its boot sheath and wield it with ease. The Shrill weighs only 4.32 ounces, so it’s pretty lightweight. The Shrill comes with a high-quality leather sheath that clips to your boot. The sheath is comfortable, and it will secure the knife to your boot without producing any discomfort. Another advantage of using this knife is that it has a high-quality blade. The blade can hold its edge really well, and the tip can get very sharp as well. All in all, this is a very good boot knife that’s well worth its price. The Schrade Needle boot knife is has a 7.62” stainless steel blade. Even though the blade is slightly on the thin side, it comes with a double-edged design that offers serrated surfaces as well as straight ones. With an overall length of 12.66”, this boot knife will get through everything you put in front of it. The knife’s handle has a textured surface that will allow you to draw and maintain your grip securely. The handle’s design will allow you to hold it nicely in your hand. A good thing about this model is that it comes with a spear point design, and the manufacturer even included a blood groove on the middle of the blade, which will come in handy if you get to use the knife in a self-defense scenario. All things considered, this is a high-quality boot knife that offers a great value considering its cheap price. The Smith & Wesson boot knife comes with a spear point design. The blade is made out of high carbon stainless steel, and it’s 4.75” long. The handle is wrapped in black rubber and it has a textured surface that will allow you to draw the knife easily. The textured surface of the handle will also allow you to hold it tightly even in bad weather conditions. The handle has a wide double guard that will prevent the knife from slipping out of your hand. One of the advantages of using this boot knife is that it has an amazing quality. The knife is well-made and it’s a very effective self-defense tool. The sheath has a high-quality clip that is durable and adjustable, so you can mount it on your boot just as you like it. 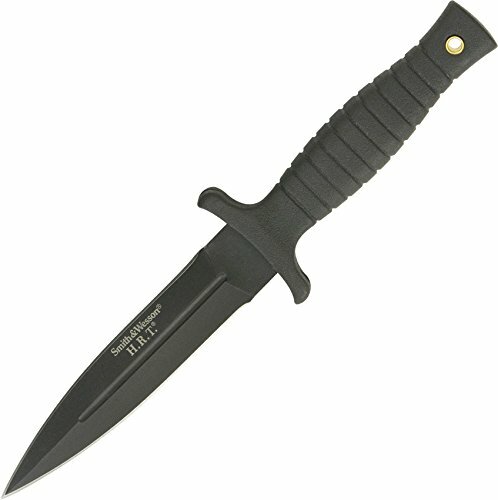 Overall, this is a great boot knife that comes at an awesome price. The Schrade small boot knife is an affordable concealed carry option. This knife is only 7” long, so it’s very easy to carry it every time you leave your home. 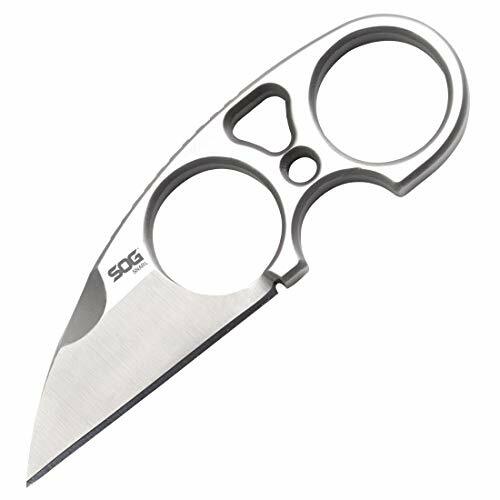 This model comes with a 3.6-inch blade that’s made out of durable stainless steel. The blade has a double-edged spear point design, and even if it’s on the short side, it’s still very effective. A good thing about this model is that it’s lightweight. 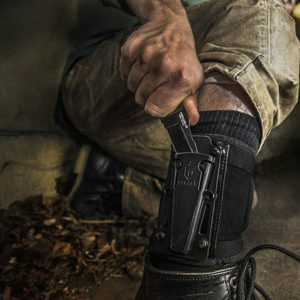 The knife weighs only 4.8 ounces, so you’ll have no problems walking or even running when it’s attached to your boot. The knife’s handle is wrapped in rubber and it has a textured surface that will help you maintain a good grip even if the handle or your hands are wet. All in all, this is a good self-defense knife for those who need a concealed-carry solution but have a tight budget. The SOG Snarl is a small concealed-carry knife that has a no-nonsense design. Even though this is the smallest knife on our list, that doesn’t mean is less effective than the other models we presented. A great thing about the Snarl is that it has an amazing construction. The knife is made out of a single piece of stainless steel, and it’s very durable. The blade is just 2.3 inches long, but it’s designed to make an impression. Blade’s sheepsfoot design is made for stabbing and making powerful cuts, so it’s very effective despite its small size. Even though it’s rather short, the knife’s handle offers a surprisingly comfortable grip. Besides the handle, the finger choil in the blade will provide a good hold, and it will allow you to wield the knife with agility and precision. Overall, this is a very good concealed-carry knife that provides a nice value. Finding the best boot knife can be slightly difficult. When you’re buying a knife, there are several things you should take into consideration. The blade’s design, length, and edge play an important factor, but so do the handle’s texture and material. In the following section, we take a look at how the different characteristics of the knife influence your experience, and how to choose the best model for your needs. The type of edge will influence how you can wield the knife, and how it will behave when you do so. Straight Edge – A straight-edged boot knife will perform better at making push cuts. These are the type of cuts you make when you push your knife through something. The straight edge knives are also good at making precision cuts, as you would when you’re peeling an apple or when you’re shaving.Straight-edged knives are not very good at cutting through thick materials such as wood, but you’re not looking for a concealed-carry solution because you plan on cutting through wood. Serrated Edge – The serrated edge performs better at cutting through tougher materials than the straight edge. Knives with serrated edges are better at making pull cuts, so they will inflict more damage when you pull the knife out of the object than it does when it’s going in.While serrated-edged knives are better at cutting through tougher materials, they’re not very good at making precision cuts. Sure, you can use these knives for peeling an apple, but you wouldn’t want to use one when you’re shaving. Combo Edge – Knives that have a combo edge bring together the best of both worlds. Part of the blade is straight, and part of it is serrated. These knives deal more damage than their counterparts because they do a lot of damage when they go in and when they exit and object.However, the combo edge has some disadvantages as well. These edges are more difficult to sharpen, and you might find it difficult to use these edges for precision cuts. Blade Length Since we’re talking about boot knives, it’s understandable that the blades can’t be too long, otherwise, you wouldn’t be able to clip the knives to your boot. However, there are still three categories of blade lengths. 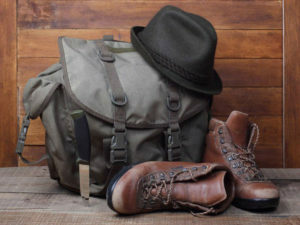 Short Blades – One of the advantages of having a boot knife with a short blade is that it’s most likely legal to carry it, no matter where you travel. Most states allow you to legally carry knives that have a blade shorter of 2.75”, so you don’t have to worry if you have to travel out of state.Another advantage of using a knife that has a short blade is that it’s really easy to conceal. Some of these knives are so small, you can even clip them to your snickers without anyone noticing. As long as you cover them with your tactical pants, nobody will bat an eye. They are also lightweight, so you can carry them the whole day without experiencing any discomfort. Some blades are so small, you can even clip them to your knee pads.Short-bladed knives are also very easy to wield. They can be very effective in close-quarters struggles, and they can inflict serious damage, despite their small size.However, the obvious downside of using a knife that has a short blade is that it’s not as versatile as those that have longer blades. Most of these knives are good at inflicting penetrating damage, but they’re not very good at making precision cuts or at cutting through objects. Medium Blades – Even though it’s slightly difficult to put a clear limit on what’s considered a medium blade for a boot knife, the general consensus is that blades over 2.75 and under 4 inches are medium-sized.Now, medium-sized blades have the advantage of being very versatile. They are large enough to perform a lot of tasks, but still small enough to be wielded comfortably.Knives that use these type of blades can have a straight, serrated, or combo edge, and they can either offer one or two edges. Medium blades are comfortable to hold, and they won’t create any discomfort if you carry them in your boot for a long time.Most of the knives that have medium blades are MOLLE-compatible, so you can attach them to your tactical vest if you’re in a hurry.Wielding a medium blade knife is comfortable and fast. The blade is long enough to inflict a lot of damage, and you can use them with good results for every task you want. Large Blades – Boot knives that have a blade longer than 4 inches are considered large. These knives are slightly more difficult to conceal properly, so you will have to clip them on tall boots you wear under roomy pants. However, if you’re used to wearing tactical pants, you won’t have any problems concealing them.Knives that have large blades are specially made for self-defense purposes. Added to the damage they can inflict, large bladed knives also offer a psychological advantage over your opponent. The bad guy might get the impression he’s got the upper hand if you draw a small knife, but he’ll definitely think twice about attacking you if you draw a large one.However, using a knife that has a large blade can have some disadvantages. First of all, these knives are heavier, so it might not be very comfortable to carry them for a long time. Second, they might be illegal in some states, so make sure you check the local regulations before clipping one to your boot. Third, they can be slightly impractical as your daily concealed-carry solution. You might look slightly awkward peeling an apple with a large knife. The blade point is very important because it dictates how your knife works in different situations. Straight Back Blade – This is a popular type of blade point, and you’re most likely familiar with it. These knives have a straight edge and a slightly curved one and are similar to the knives you would normally use in the kitchen. This type of knives are versatile, and they’re very food at both slicing and chopping. Their ability to chop and slice make them fit for kitchen use. Sheepsfoot Point – Blades that have a sheepsfoot point design are ideal for cutting and slicing. They have a straight edge that’s sharp and a dull one that’s designed to protect the wielder instead of causing damage. 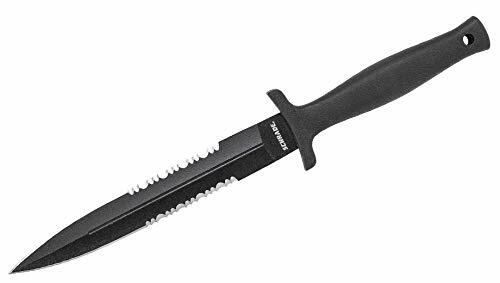 These knives are very good if you find yourself in a tight spot, and they are also very good for clumsy people because they’re rather safe to use. Spear Point – Knives that have spear pointed blades are very popular. This design is often encountered in boot knives, and manufacturers choose it for its usefulness. A spear pointed blade usually uses two sharp edges, but there are some models that come with only one sharp edge. The spear point is very effective at piercing, but its width makes it good at slicing as well. Needle Point – Knives that have a needlepoint are specially designed to pierce through objects. These knives have a slim blade, and the main purpose is self-defense. Because the blade is rather thin, needle pointed blades are not really versatile. Tanto Point – Even though it’s not very popular, the tanto point is very effective at piercing. Knives that have a tanto point are usually wide and strong, and they can inflict a lot of damage. The handle is just as important as the blade itself. It doesn’t matter if your knife has an extremely efficient blade if you can’t hold it properly. Stainless Steel – Stainless steel handles are corrosion-resistant which usually makes them very durable. They are more commonly found in short-bladed knives, but you can find some medium-bladed models with a stainless steel handle as well. The advantage of having a stainless steel handle is that it’s a little bit heavier, and it feels comfortable in your hand. Micarta – Micarta is a tough composite material. Micarta is usually made out of cloth or paper that’s combined with a phenolic resin, and it’s used for many purposes in the plastic industry. Most knife manufacturers use canvas micarta for their products because it tends to have a more textured feeling. The good thing about micarta is that it’s very durable. This composite material might change its color as it ages, but the aging won’t affect its durability. Titanium – Titanium handles are durable and lightweight. They are corrosion resistant, and they are most often found in high-end models. Even though titanium handles are very good, most people avoid them because of their price and impersonal aspect. G-10 – G-10 is a very durable material. G-10 is made out of fiberglass that’s soaked in resin, compressed, and then baked. Thanks to the high content of fiberglass, G-10 is lightweight, despite its durability. What makes G-10 a great choice for knife handles is its ability to resist every environmental factor. This material will behave well in all kind of weather conditions, and you can even use it underwater. Rubber – Rubber is usually used to wrap the handles of lower-end boot knives. The good thing about rubber handles is that they feel very comfortable when you hold them. However, rubber is not very durable, and it can get damaged over time. Now that you know how each of the knife’s characteristics influences your experience, here are some other things you should take into consideration before deciding on a model. Self-Defense – If you’re looking for a self-defense tool, you should either choose a large or a small boot knife. The large boot knife will bring a psychological factor to the table, and it can change your opponent’s mind once you draw it. 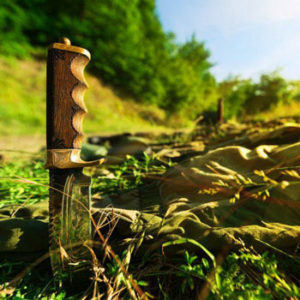 However, the small boot knife can sometimes be better than the larger models.You can carry a small boot knife at all times when you’re away from home, and no one would know. Unlike the large models, small knives are easy to conceal, and you’ll be able to take it with you everywhere you go. Small knives don’t interfere with your normal movements, whereas the large models can somewhat restrict your ankle’s movement. Multi-Purpose Tool – If you’re looking for a multi-purpose tool you can have close at hand at all times, you should go with the medium-sized models. These models are versatile, and you can use them for self-defense and other purposes with great results. You will be able to use the knife to peel an apple without attracting any unwanted attention, and you won’t have a difficult time concealing it.If you’re planning on using the boot knife as a multi-purpose tool, you should consider buying a model that comes with a combo edge. The straight edge will help you slice, while the serrated edge will help you saw through things. Be Informed – Some states allow you to carry a boot knife as a self-defense tool, while others don’t. Most often than not, the difference between a legal and an illegal knife is the blade’s length. Make sure you check the state’s laws before you order a model, so you won’t get into trouble. Sharpen The Blade – Most manufacturers deliver the boot knives with a rather dull edge. This is done for safety reasons. The knives come in boxes, so you might cut yourself accidentally when you open the box if the blade is razor sharp. You can either sharpen the blade yourself, or you can take it to a professional to give it a fine edge. Boot knives offer a good concealed-carry solution. They are small and easy to conceal, and they offer an easy access to your self-defense solution. As you could see in the article, boot knives can have multiple purposes. This is why it’s better to understand how each of their characteristics can influence the way you can use the knife in different situations. We hope that after reading this article, you have a clear idea of which is the best book knife for your needs. Keep in mind that there’s a knife model for every purpose, so you can definitely find one that matches your expectations. Shooting & Safety Copyright © 2019. © 2015-2019 Shooting & Safety. All Rights Reserved. shootingandsafety.com is a participant in the Amazon Services LLC Associates Program, an affiliate advertising program designed to provide a means for sites to earn advertising fees by advertising and linking to amazon.com.